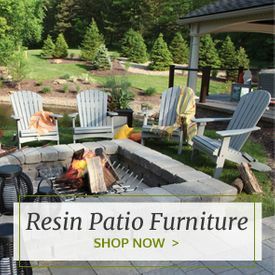 Ideal porch accouterments for loungers of all ages, red cedar garden swings provide gentle movement and all-over comfort for the best in outdoor enjoyment. 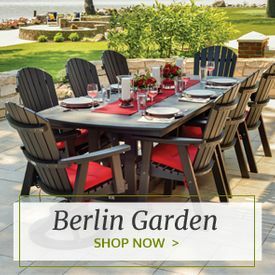 Built with high-quality wood like Western red cedar plus durable zinc-plated steel hardware and chains, these garden swings are luxurious and long-lasting at once. These tasteful red cedar swings can be installed on your porch or swing structure and come either unfinished or stained to provide a tailored-like aesthetic that works with your garden, patio or porch. Whether your taste is more modern or traditional, we carry a stylish swing that meets your d‚cor needs. 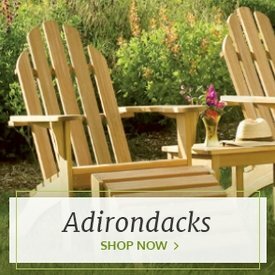 For a more laid-back and rustic appeal, explore our stunning cedar Adirondack porch swings that offer the iconic fanback look of an Adirondack chair over the lift of a porch swing. 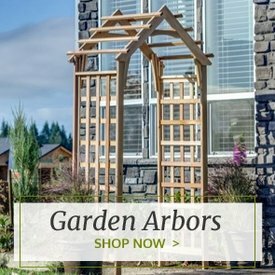 We also carry traditional versions with classic stylings that are well-suited for your country style landscape, plus more minimalistic swings that leave the frills behind. 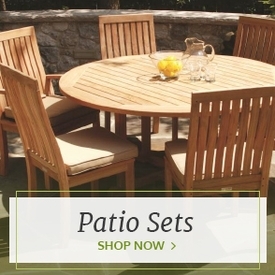 These outdoor essentials come with chains as well as generous warranties for added peace of mind.